A Stanford University graduate, her previous teaching positions were in Sociology at Rice University in Houston, Texas (1990-98), as well as a Visiting Scholar at the Center for Mexican American Studies at the University of Houston (1998-99). She is also the author of award-winning Subtractive Schooling: U.S. Mexican Youth and the Politics of Caring (1999) Leaving Children Behind: How "Texas-style" Accountability Fails Latino Youth (2005), and Growing Critically Conscious Teachers: A Social Justice Curriculum for Educators of Latino/a Youth (Teachers College Press, 2016). She also founded and operates an education blog titled, Educational Equity, Politics, and Policy in Texas. She served as co-editor of the Journal of Qualitative Studies in Education, as well as the Anthropology and Education Quarterly. A previous Fulbright Scholar, Valenzuela spent her 2007-08 academic year in Mexico where she taught in the College of Law at the University of Guanajuato in Guanajuato, Guanajuato and conducted research in the areas of immigration, human rights, and binational relations. Most recently, she was honored to have been selected to be a scholar in residence in the School of Education at the University of Colorado at Boulder. 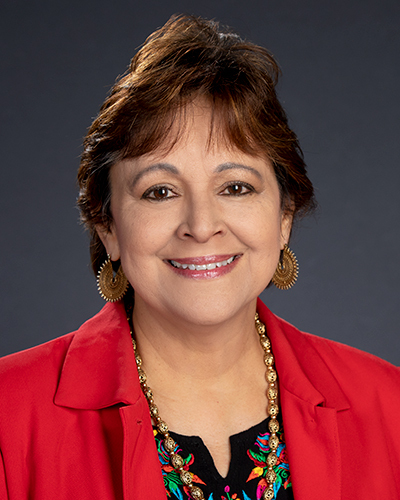 Valenzuela's research and teaching interests are in the sociology of education, minority youth in schools, educational policy, urban education reform, culturally relevant curriculum, Ethnic Studies, and indigenous education. Valenzuela also directs the National Latino Education Research and Policy Project (NLERAP) that aims to create a teacher education pathways for Latino/a youth, nationally. With prior funding support from grants from both the Ford and Kellogg Foundations, this work builds on the efforts and advocacy of Latino/a education and business leaders nationwide. NLERAP has been housed at the University of Texas at Austin since November 6, 2009. Locally, she directs Academia Cuauhtli, a partnership-based, community-anchored Saturday school with district-wide Impacts in Austin, Texas. Valenzuela, A.. (2017). Grow Your Own Educator Programs: A Review of the Literature with an Emphasis on Equity-based Approaches. Instructural Development Research Association EAC-South, 1–17. Valenzuela, A.. (2017). "Education." Keywords for Latina/o Students. New York University Press, 51–54. Valenzuela, A.. (2014). I Am an ELL Advocate! Findings from the NEA English Language Learner Advocacy Summit. National Education Association, 1–32. Valenzuela, A.., Zamora, E.. & Rubio, B.. (2014). Academia Cuauhtli and the Eagle: Danza Mexica and the Epistemology of the Circle. Annenberg Institute for School Reform(41), 46–56. Valezuela, A.. (1999). "Checkin' up on My Guy": Chicanas, Social Capital, and the Culture of Romance. A Journal of Women Studies, 20(1), 60–79.